Mt. 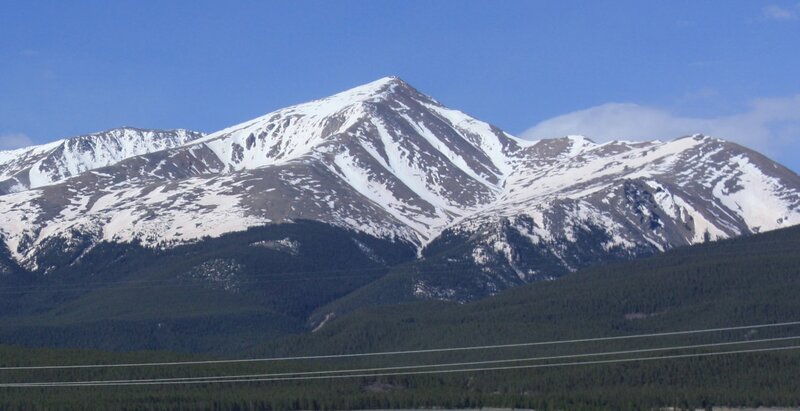 Elbert (14,433’) is the highest point in Colorado, and only second to Mt. Whitney in California as the highest peak in the continental United States. The mountain was named after Samuel Hitt Elbert, who served as governor of the Territory of Colorado in 1873-1874. An alternative hiking route is the Black Cloud Trail, which begins approximately three miles west three miles west of Twin Lakes Village. Not interested in climbing Mt. Elbert? That’s okay. Located in the San Isabel National Forest, nearly any mountain or outdoor activity you can think of can be enjoyed in its vicinity. Mt. Elbert stands prominently on the west side of the Arkansas River Valley and its view can be enjoyed and photographed in most spots from Leadville all the way down to Twin Lakes.